The wait is over: Pretty, ‘Best Comedy’ ISA Winner, ‘Best Comedy’ Groovy Award Winner, ‘Best of the Fest’ LA Comedy Festival Winner, returns today with the first brand new episodes in over two years. And now that it’s back, the show that redefined what it meant to be a “Toddler” with a “Tiara,” is breaking new ground, taking on a “Dance Mom” theme. IAWTV Award Nominee, Stacy McQueen and Indie Series Award Winner, Dee Freeman return for the new season. Added to the cast are Adrienne Wilkinson (Venice, Xena), Michael Caruso (Emmy-nominated DeVanity), and Diane Delano (The Bridge, Mike & Molly). Pretty Season Four begins today, January 5th. Episodes can be viewed 24/7 at www.prettytheseries.com. 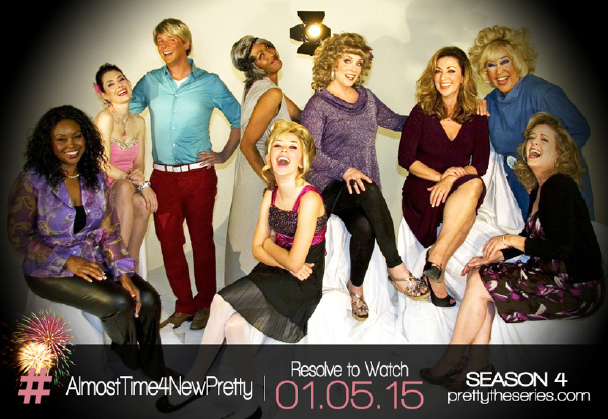 Follow Pretty on Twitter: @PrettyTheSeries.